Welcome to our U.S. Lavender Farm Directory where you will find information and links to Lavender Farms near you. Many are Organic Lavender Farms. We list Lavender farms and Commercial Lavender growers in the United States and International Lavender Farms (bottom.) Have a Lavender Farm link that was missed? Then send it to me to have it posted. Take the time to visit Lavender fields near you. There is nothing like walking through a Lavender field of blooming flowers and taking in the heady fragrance. Thinking about starting a Lavender Farm of your own then read this first on growing Lavender for profit. Enjoy! Wishful thinking :) although there are a number of CSA's and farmers markets that grow herbs. Traveling abroad? Here are links to Lavender Farms in several different countries. Image by McDonald GDFL Have a great link to a Lavender Farm. Share it by emailing it to me. 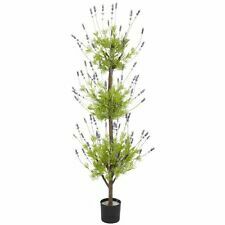 Add your Lavender Farm link. Click on the contact tab at the top of this page. If you want to copy this list and post it on the internet as is, you are required by copyright to note the source and to give a link back to this page.